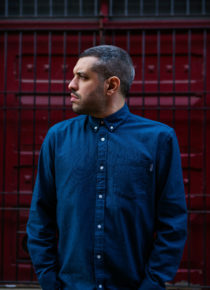 Francesco made his Edinburgh debut in 2014 with Italians Do It Later having toured with the Comedy Sans Frontieres project alongside Eddie Izzard and Dylan Moran, and recorded the International Showcase for Comedy Central in Montreal in July 2015, which was the first stand-up comedy show in English to be broadcast in Italy. High profile in his native Italy as the former host of the biggest show on Radio Globo in Rome, as well as multiple series of Stand Up Comedy for Comedy Central Italy and two further series as writer and performer, so far his English speaking comedy career took him to the UK, South Korea, Slovenia, Canada, Norway, South Africa and Switzerland! Francesco became the European correspondent on Unspun with Matt Forde on Dave, and supported Tommy Tiernan on his U.K. tour. In 2018 he appeared in Paul Hollywood’s Big Continental Road Trip (BBC2) and The Arts Hour On Tour (BBC World Service). Rai3 in Italy commissioned his own series, Tutta Culpa Della Brexit (Blame it on Brexit), charting Francesco’s experiences as an Italian comedian living in London during the Brexit negotiations which aired in December to impressive ratings and critical acclaim. These experiences has led Francesco to write his first book La Mia Brexit published by Bompiani. He took part in Trending Comics as part of the Montreux Comedy Festival, and BBC Radio 4 series Welcome to Wherever You Are in 2017. Francesco was invited back to appear at the Montreux Comedy Festival @ UAE in Dubai in 2018. He also completed performing his critically acclaimed new show, Comfort Zone, at the Edinburgh Fringe 2017 which he brought to the Soho Theatre May 2018. Netflix has recently announced Francesco’s one hour stand up special in Italian “Cose di questo mondo” which will premiere globally on the 12th April. Francesco will also be bringing his brand new show Winning Hearts and Minds to this years Edinburgh Fringe. https://vimeo.com/212773296(password for all is mpwmanagement).